In the exhibition ‘Bloom’ artist Jodie Cunningham exhibits a body of works on paper that use the languages of geometric abstraction, colour and symbolism. They journal her experiences of conflict, anxiety and heartbreak; and the joys of connection, love, and gratitude. Like an alchemist she transforms the energy of complex and sometimes negative emotions into vibrating, ‘blooming’ compositions. The process Cunningham has used to create these images has been developed in the context of her busy life as a single mother and educator. In the rare moments she has to herself, during the early hours of the morning when sleep evades her, she creates images as a way of processing emotions and thoughts. 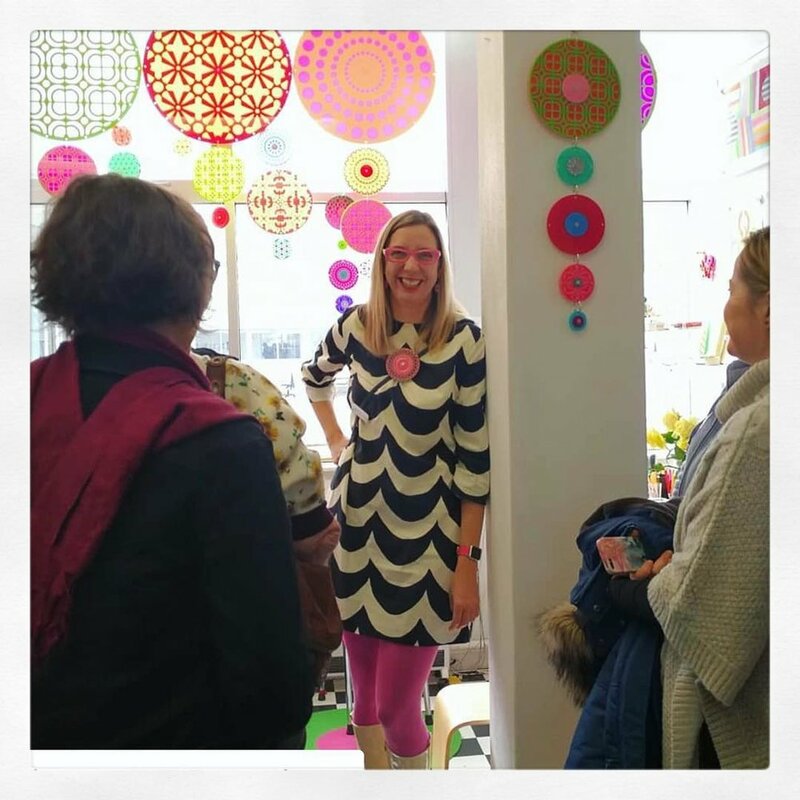 On a daily basis she immerses herself in colour, shape and pattern in an almost therapeutic meditation – resulting in an eclectic collection of image ‘seeds’. Selected images are further developed and refined, then printed in archival inks on gorgeous cotton rag paper. Fantastic day at m16artspace open day! 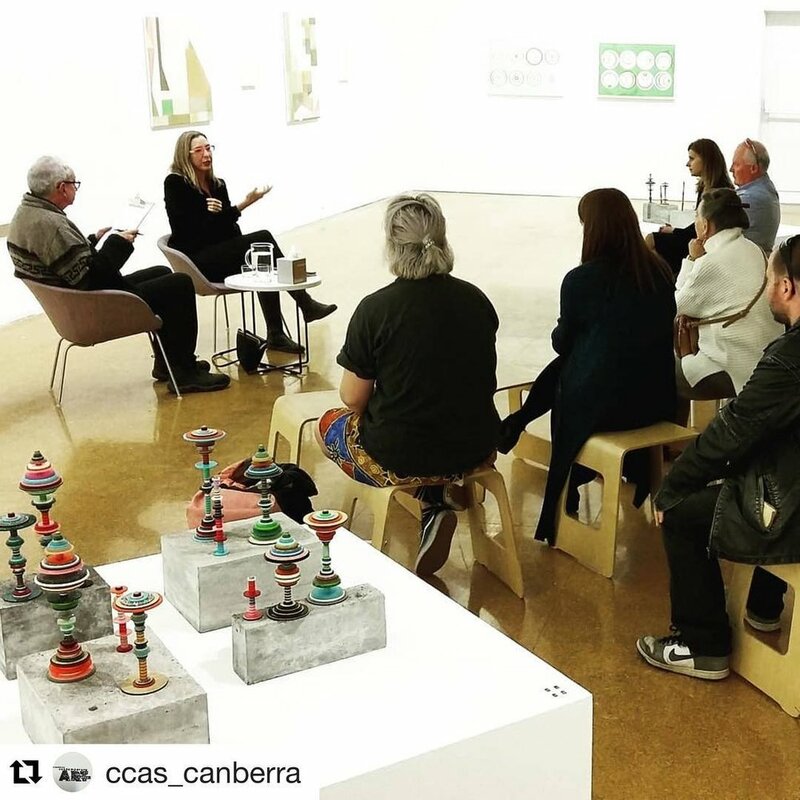 Thanks to all the lovely people who visited and the wonderful @citcanberra visual art students who came for my studio talk. Artist’s Talk: Obsessive Impulsion - Confidential. Jodie Cunningham in therapy with David Broker. Saturday 19 May 1.30 PM @ccas_canberra galleries Gorman Art Centre @ainslieandgorman. Join us for Obsessive Impulsion: Confidential - Artist Jodie Cunningham in ‘Therapy’ with Curator David Broker, this Saturday 19 May at 1:30pm, Canberra Contemporary Art Space, Gorman Arts Centre. @ccas_canberra. Photo: Alexander Boynes. 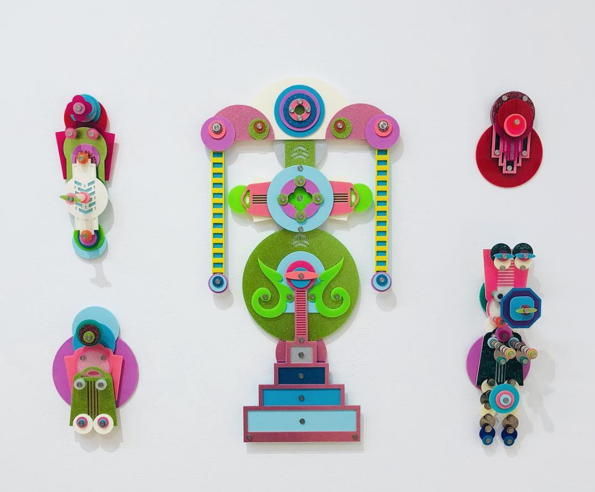 The vibrant colour and flamboyant design that defines Jodie Cunningham’s digital prints and sculptures is deceptive. Her obsessively optimistic practice reflects the stresses encountered in her everyday life as a single mother, artist, and teacher. This illusory positive mood comes from a “dark place” and her work represents a fragile balance between the pursuit of happiness and abject depression. In a one-hour psychotherapy session (including time for questions), David Broker delves into the private motivations behind Cunningham’s practice and attempts to guide her on a path to self-actualisation where her talents and potentialities are fully realised. My work is being shown at CCAS as part of Obsessive Impulsion. Opens tonight 27 April at 6pm! Huge thankyou to David Broker, Alexander Boynes and Alex Asch. Come and see my 'Talking to the Tax Man About Poetry- Data Portraits’ at Artnotapart 2018. 1-7pm Saturday 17 March, Location: 'Makeshift' Ground floor Nishi, New Acton. All works are for sale on my website jodiecunningham.com. 'Talking to the Tax Man About Poetry- Data Portraits’ is a body of abstract portraits of eight Canberra artists who are all also arts educators - it visualises the realities of being a practicing artist in the current global economy using contrasting materials and forms to visualise financial and personal data. For artists it is increasingly difficult to survive and make meaningful work - it has come to a ‘climax’ with the realities of the hardships of art making and art consumption creating a potential loss of cultural activity and discourse in our society. The ongoing assumption in our culture that artists should work for free, ‘because they love it’ or because they will ‘gain exposure from it’ contributes to this struggle and prevents sustained investment in the arts by both makers and consumers. The work highlights the tension between our desire as artists to make works with meaningful relationships to the world around us with just trying to make a living and survive. We’re in debt, we’re balancing creative lives as artists with financial and work pressures. We balance mortgages, meetings, micromanagement, parenting and domesticity with colour, ideas, discourse and intuition. 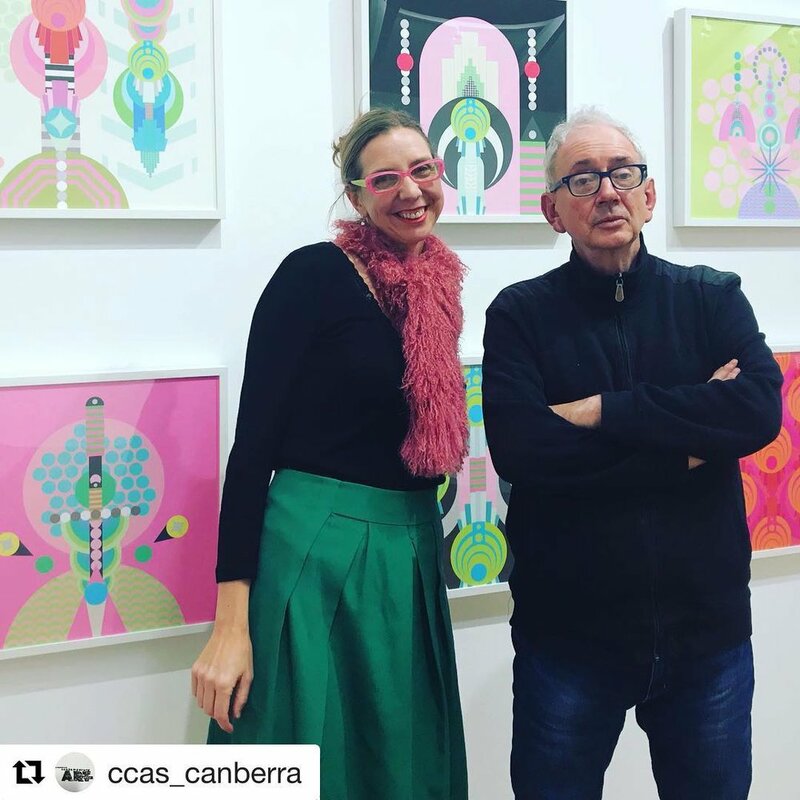 I just dropped off the work 'Ainslie Deco- Pink' that I donated to the CCAS's Annual Fundraiser 'Quickdraw'- It looks like it's going to be a great night with fabulous artworks for punters to win! If you would like to come along this Friday 17 November you can buy a guest ticket for $50 or a winning ticket for $250 go to: https://www.eventbrite.com.au/e/quick-draw-2017-tickets-38648051362#tickets. Following from the success of last year’s unique fundraiser, Canberra Contemporary Art Space once again invites you to get involved in the fun. Quick Draw is a novel idea where the punter’s names are drawn from a hat and randomly matched with an artwork. There is a small gamble involved, as the price of a ticket buys a work, but no one knows what they will receive until their name is drawn! Alex Asch, G.W. Bot, Robert Boynes, Mariana del Castillo, Jodie Cunningham, Marie Hagerty, Nicci Haynes, Sanne Koelemij, Waratah Lahy, Rosalind Lemoh, Dan Maginnity, Peter Maloney, Mandy Martin, Katy Mutton, Derek O'Connor, Millan Pintos-Lopez, Dionisia Salas, Erica Seccombe, Bernie Slater, Peter Vandermark, and the list goes on! All funds raised will go directly to artists exhibiting at Canberra Contemporary Art Space’s Gorman Arts Centre gallery. Artists’ fees have always been a high priority for CCAS, and Quick Draw 2017 will ensure that these fees continue into the future. Comprised by 50 of Canberra's hottest artists in varying stages of their careers, Quick Draw is a fantastic way to get involved and support the Capital's vibrant cotemporary art scene. The event will start at 7pm on Friday 17th of November 2017, and CCAS will provide entertainment and food. However, due to Quick Draw being a fundraising event there will be a cash bar. The 'Winners Ticket'ensures you'll leave with an artwork, however if you'd just like to come for the party a 'Guest Ticket' is also available. Make sure to get in quickly, tickets are limited. 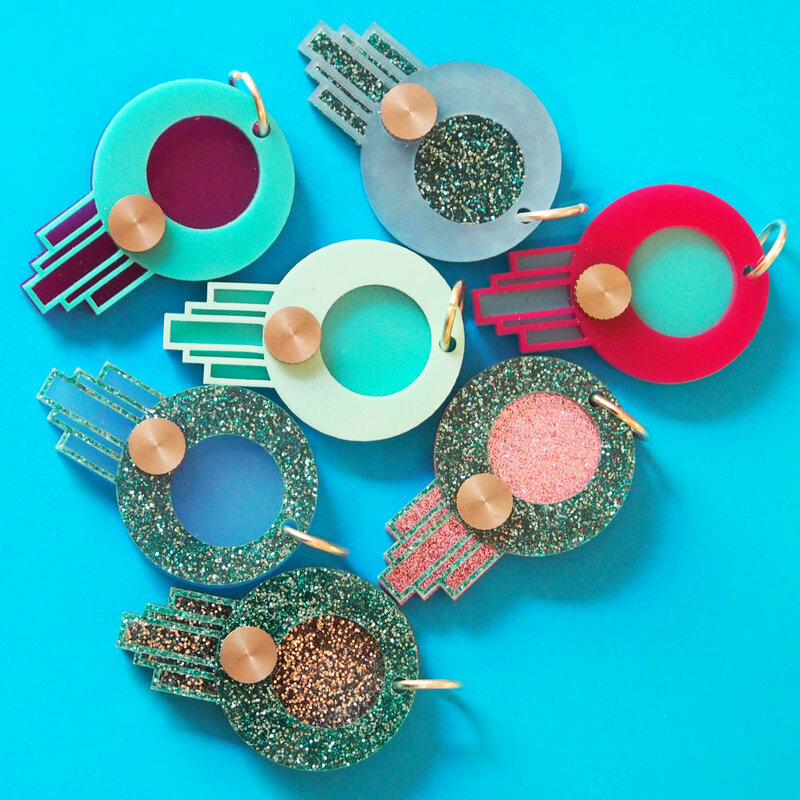 I will be having a stall selling my jewellery (recently rebranded as Lime Flamingo Design) at the Undercurrent Design Markets November 24-26, National Portrait Gallery, King Edward Terrace, Parkes. Fri 5-8, Sat & Sun 10-5.